In 2010, France has experienced an intense social struggle. The triggering factor was the pension reform which the government of Prime Minister François Fillon argued was necessary to “save the pension system”. The French system relies on compulsory basic and supplementary state pension schemes financed mainly by contributions (proportional to wages) and taxes decided at national level. According to the government, because of the growing number of retired people and an ageing population, it is necessary to raise the legal retirement age from 60 to 62 (and from 65 to 67 for a full pension) in order to encourage people to work longer. But the trade unions are very sceptical about this reasoning, for the average age at which workers cease activity is 58.8 years. And 60% of workers are not in employment when they claim their pension rights: they are either unemployed, or invalid. For example, “25% of nurses and 40% of auxiliary nurses are invalid when they retire” (Lambert 2010). In the first part of this article, the terms of the debate will be analysed, and in the second part the struggle around the pension reform will be discussed. “It is demographic, not political. If you live longer, then you must work longer”. The previous French governments used similar arguments in support of the pension reforms that took place in 1995, 2003 and 2007. The ratio between the number of retired people and the number of contributors is undoubtedly increasing – but by how much? It is now clear that previous official reports exaggerated the demographic trends. The birth rate did not fall and the economically active population will not decline. The latter will actually increase until 2015, and then remain constant unless policies are adopted to increase women’s employment. The evolution of the active population is a political issue: it is limited to a demographic issue only when the government has no employment policy! There are only two possible adjustment policies when a population is getting older: either to reduce the pension per capita or to increase the share of national wealth dedicated to pensions (which currently stands at 13% of GDP in France). Workers understood that, despite official propaganda, the proposed reform did not favour the latter solution. Because of uneven and incomplete careers, as a result of unemployment and increasingly casual jobs, the only outcome of the reform will be a decrease in pensions. Indeed, the effects of similar reforms proved to be regressive: according to the French Conseil d'Orientation des Retraites (Pensions Advisory Council), the pension represented on average 79% of a person’s pre-pension wage in 1995, but the ratio fell to 72% in 2007 and is expected to be 65% in 2020. The effects of the 2003 Fillon reform provide strong arguments against the 2010 Fillon reform. The evolution of the pension system is the result of a complex set of factors, which the government gets deliberately mixed up. In 2007, the French pension system was running a slight surplus; in 2008, it had a deficit of €6.9 billion which has increased to €32 billion in 2010 (11 billion for basic pensions and 21 billion for supplementary pensions). Yet, only 10% of this deficit is linked to the rising number of retired people. The main cause of the current deficit is the economic crisis. The GDP share of spending for pensions is stable but income is decreasing because of unemployment and sluggish growth. Well, who is responsible for the crisis, one could ask? Having bailed out the banks, the government is now asking workers to make an effort. Yet, it would be possible to finance the deficit by raising the contributions paid by employers. Of course, capital owners will argue against “increasing the costs of labour”, a move which is assumed to endanger the competitiveness of companies that will then have no choice but to lay off workers or relocate. But in actual fact, any subsequent problem of competitiveness could be solved by decreasing dividends. In 1980, dividends were equivalent to 4.2% of total payroll, a ratio which rose to 12.9% in 2008. Hence, the only problem with pensions is a distribution problem – and the ‘competitiveness’ argument is simply misleading (Husson, 2003). Two associations (Copernic Foundation and Attac, 2010) made a strong case against the reform, developed alternative analyses and gathered social and political forces on the left. During spring, they organized debates all over the country. Then, the demonstrations called by all trade unions were a real and surprising success: 1 million people were on the streets on the 27th of May and 2 millions on the 24th of June. After the summer break, the movement grew even stronger. Truck drivers, teachers, port and rail workers, students and a very large number of private sector workers went on strike and united in a large movement against the government. They participated in huge demonstrations (gathering 3.5 millions on the 12th of October), blocked some freeways and organized general meetings. Because of the strike, ten of the twelve national oil refineries shut down and many petrol stations were empty for two weeks. The movement nevertheless remained popular, being approved by nearly 80 percent of the population. Its strength forced the unions to remain united against the government. It prevented the CFDT (the less pugnacious of the two largest French unions) from withdrawing from the movement. How can one account for such a large and popular movement? The evolution of the pension system is a matter of civilization, and pension reform was not the only source of revolt. Unemployment and deteriorated working conditions also featured prominently in the general meetings. In the debate concerning the conditions under which workers employed in difficult or hazardous jobs can retire earlier, the government wrote that "wage-earners must be physically worn-down when retiring" (see: http://www.retraites2010.fr/le-projet-de-loi/mettre-en-place-un-dispositif-de-prevention-et-de-compensation-de-la-penibilite). But what could be more justified than workers benefiting from retirement before they are ill or exhausted? Moreover, for the vast majority of French people, the government had lost much of its legitimacy. In September, when Eric Woerth, the minister in charge of the pension reform, said that the text "could not be changed", anyone knew that he had been much more understanding with wealthy people when he was formerly budget minister. During the summer, the Woerth-Bettencourt scandal had exposed the close relationships between political and economic powers. With a fortune estimated at $20 billion, Liliane Bettencourt, the main shareholder of L'Oréal, is one of the wealthiest people in the world. In June, tape recordings revealed that she had dodged taxes by using undeclared Swiss bank accounts and that Woerth’s wife had been given a job managing Bettencourt’s wealth. Mrs Bettencourt received a €30 million tax rebate while Mr. Woerth was budget minister. Moreover, Bettencourt’s former accountant has claimed that conservative French politicians were frequently given envelopes stuffed with cash to finance their campaigns (see: http://www.guardian.co.uk/world/2010/jul/12/nicolas-sarkozy-bettencourt-scandal). Further evidence of the relationship between political and economic powers appeared in articles concerning the French President's brother, Guillaume Sarkozy. He is not only a textile entrepreneur and the vice-president of the French employers’ association, but also the general manager of Malakoff Médéric. This mutual insurance company created in 2010 a private subsidiary company (Sevriena) in order to take advantage of the pension reform. While Nicolas reduces state pensions, Guillaume sells supplementary private pension schemes. Nicolas Sarkozy is widely perceived as “the President of the very wealthy” because he created the famous “tax shield”, providing a protection against taxes on high incomes. The French social movement of the fall of 2010, particularly the strike by oil workers, has shown the great power and determination of the working class. But the government defeated it by conscripting energy workers and ordering the riot police to disperse picket lines, before promulgating the reform. The outcome of the struggle has been influenced by three elements. Firstly, the economic impact of the movement has been weakened by a reactionary law of 2007 forcing rail workers to give an individual 48 hour notice of strike actions. But the government went much further by conscripting some workers of the private sector. The unions initiated a procedure against this illegal restriction of strikes, which is currently proceeding. Secondly, the fragility of the movement itself was partly due to the crisis and the unemployment which had placed the workers in a difficult position. Finally, Sarkozy was putting his political future in the balance with this reform. Hence, the challenge was a very difficult one: any victory was impossible without bringing Sarkozy and the government down. However, the movement allowed many people to make interesting democratic mobilisation experiences and all reached the same conclusion: a battle has been lost but the war is not over. 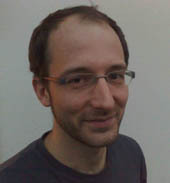 Philippe Légé is Assistant Professor of Economics at the University of Picardie (UPJV, France). His work is in the history of economic thought and the analysis of the current crisis. He's a member of the French Association of Political Economy (AFEP). Attac and Fondation Copernic (2010), Retraites, l'heure de vérité, Paris: Sylepse.